But there’s trouble from day one, and not just from the grumpy woman who runs the bakery next door. A car nearly runs Addie down. Someone steals a copy of Alice in Wonderland. Then, Addie’s friend Serena, who owns a nearby tea shop, is arrested—for killing another local merchant. The police seem pretty sure they’ve got the story in hand, but Addie’s not going to let them close the book on this case without a fight . . . The first book in a series and it literally sucked me in from beginning to end!! I can't believe how well-developed everything was and how realistic the characters were. The way the events that led to Addie's moving were intertwined in the story were unexpected and fabulous. There were no draggy bits while you caught back up with something or were prepared for something else; this was so seamlessly integrated that you were along for the ride and never got kicked out of the story over the little things. I think I still have a bit of a book hangover from this and I'm well into another story. I cannot wait to stalk the very next book in this series. Grab this as soon as you can and be prepared to enjoy a lovely adventure. Thank you to Kensington Books, Lauren Elliott, and NetGalley for allowing met the chance to read this story and share my honest thoughts and opinions with others. A Good Start to a New Cozy Mystery Series! 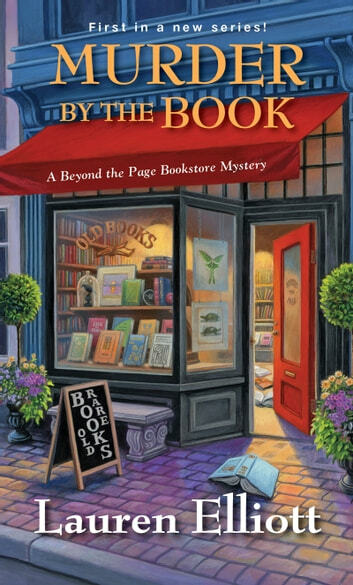 After her father’s fatal car accident and her fiancé’s murder, Addie Greyborne decides to move and open up a bookshop in a small New England town. Addie’s great aunt has left her a mansion and an inheritance to help her renew her life. But, then a car tries to run Addie down, a copy of Alice in Wonderland is stolen from her store and a local merchant is murdered. Addie’s new friend, Serena, is arrested for the murder and Addie decides to investigate and find the secret behind all of the strange occurrences. 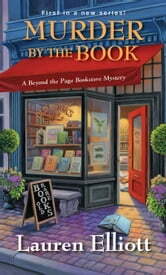 This was a good start to a cozy mystery series. I genuinely liked the characters, especially Addie. She gave me hope, personally, because she had so much pain and loss in her life, and she was able to change and find renewal. I loved that there were people around her that had her back. The mystery plot felt a little muddled to me because it seemed as if too much was going on. On top of that, the copious amount of suspects confused me even more. Still, I would love to read the next installment in the series. I received an Advanced Reader Copy of this book from NetGalley and am voluntarily reviewing it. Bubble gum for the mind -Not! I was only ably to read to page 50. Did not finish! The synopsis for the book is: Addie’s fiancé was murdered (unsolved), and her father was in a fatal car accident. She’s also just received a small inheritance from a great aunt that includes a house, Greyborne Manor. She moves to the small New England town founded by her ancestors to live in the spacious Greyborne Manor. Her aunt also left her countless first editions and other treasures which provides the inventory to start her own store. I thought this was going to be one of my “bubble gum for the the brain” books. However, this book, did not work for me. I could not connect with the main character. For someone in her 30’s, having/starting a business, I found everything about her irritating. For example, the way she greeted customers in the shop would cause me to walk out. Addie also does not keep regular store hours and I find her immature. For those reasons, I tired of the book.